We know family travel can be lots of fun but also a little stressful. 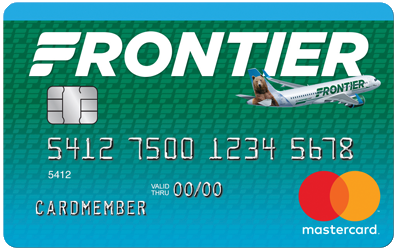 At Frontier, we are committed to making your travel experience stress-free and fun, while saving you money. Look for the “mom-approved” logo throughout our website to discover our most family-friendly options. We want to give you time to get settled in. With us, families board directly after Zone 1/Priority boarding. Families come in all shapes and sizes and so should your travel. Customize your flights and only pay for what your family needs! Only bringing carry-ons? Purchase them ahead of time and skip the line. Moms, we know you don't get sick, but kiddos do. Worried that will ruin your trip? Book stress-free with THE WORKS!℠ - you can change (and even cancel) your flight. Plus, it includes seat assignments and bags for one low price! Our DISCOUNT DEN℠ travel club membership is good for up to 6 people on your itinerary! Memberships can be used as often as you like for an entire year for only $59*. Join our fare membership club, Discount Den, to enjoy Kids Fly Free. On valid Kids Fly Free flights, one kid under 15 can fly for free for every adult Discount Den fare purchased. Unlike some airlines, we provide families an option to pre-select their seats and even upgrade to our stretch seats for extra room. Prices vary by seat location. 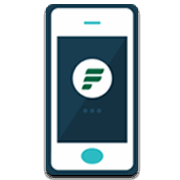 Check-in and get your boarding pass on our mobile app! No printing, no lines, no problem! Plus, we have lots of family fun. Are you flying with Griz the Bear, Otto the Owl or Flo the Flamingo? Onboard, ask your friendly Flight Attendant for a collectable trading card – collect them all! Scroll down to our fun, downloadable activities. 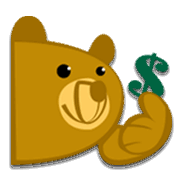 Check out all the great ways you can save with us! Get the best value for family travel! Get exclusive access to our lowest fares for the whole Family for only $59*/year! Looking for an excuse to take the family to the beach? Trying to find the cheapest and easiest way to visit grandma? Sign up and save with our emails. You’ll be the first to know about our great deals! Don’t wing it - be prepared for your next family trip! 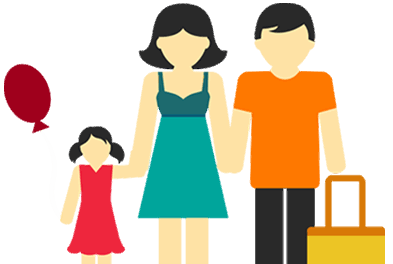 Check out our tips for family travel. Traveling with kids or Infants? We want to help make your flight smooth and comfortable for your little ones. Find out some tips and resources to help make your trip as enjoyable as possible! Bring a well-stocked carry-on bag, including diapers, wipes, bottles, snacks, a sippy cup, a book or two, and some quiet toys. If the child is old enough, download a couple of educational videos onto an iPad. This is a great attention-holder. If you're bringing electronics for your kids, make sure they are charged and ready to go before your flight. Comforting toys are great but keep other passengers in mind. Leave the noisy toys at home. More leg room for you and extra space for toys is always a good thing on a flight with kids. Our stretch seating is a great way to get the space you need. Babies and young children do not know how to clear their ears to reduce the pressure during takeoff and landing so unless your child is asleep, you will need to help them. We suggest a bottle for infants and gum or hard candy for older kids. We offer snacks, and beverages for sale on most flights (something to consider if the toys aren’t working or you run out of snacks)! If you opt for packing your own snacks, bring along a Ziploc bag for wrappers and other garbage. This will come in handy throughout your flight with kids. We know you want to make your child's trip easy and safe. There are some federal rules we need to follow to ensure the safety of infants and children. Infants can travel for free, sitting on your lap from seven days old up to his/her second birthday. Please Note: A birth certificate may be requested for age verification purposes if the infants' age appears questionable. Lap children may not sit in any seat that has an airbag seat belt installed which includes row 1 on most aircrafts. Two adults with two lap children cannot sit in the same side of a row because there are only four oxygen masks per every three seats. Only one child is allowed per adult lap. If you are traveling with two infants and you are the only adult in your party, you will need to purchase a ticket for them and have an approved car seat for the second child. You may choose to purchase your little one his/her own seat and use an approved car seat on the plane, this is the safest way, if you can, we encourage you to do so. Our seat widths vary depending on the size of the aircraft. 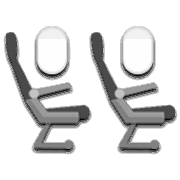 Minimum seat widths on the A319 and A320 are 17.4” and on our A321 minimum seat widths are 16.5”. Car seats cannot be placed in emergency exit rows, in the rows directly in front of or behind emergency exit rows, or in the very first row. We also suggest placing car seats in window seats so they do not impede access to the aisle by other passengers. If you're bringing a stroller, you can take it to the gate but it must be checked from there. Pssst... Frontier Tip: Make sure your car seat is approved by the FAA. Look for the label on it that states, “This restraint device is approved for motor vehicle and aircraft use.” Use of the FAA-approved AMSafe Aviation C.A.R.E.S. child harness device is also allowed. We fully support a woman’s right to breastfeed on our flights. Breast pumps are also welcome aboard. We consider a breast pump to be a medical device. View the Frontier medical device policy under Sports Equipment and Special Items. 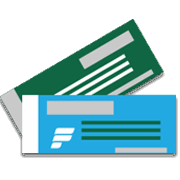 If you purchased an unaccompanied minor ticket prior to November 1st, 2018, click here for more information. Pets are like family. That’s why we’re committed to keeping your dogs, cats, hamsters, and more safe and sound on their trip. 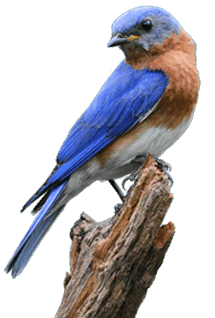 If you would like to take your critter on your next trip, there are few things you need to know first. 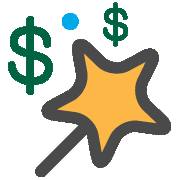 A one-way, directional charge of $75 will apply and may be paid in advance during booking. If you do not pay in advance, you’ll need to pay when you check-in your pet. In addition to the travel container for your pet, you are allowed either a personal item (8”H x 14”W x 18”L) OR a carry-on bag (10”H x 16”W x 24”L). An additional fee will apply for the carry-on bag. We do not allow pets to be checked as baggage. Be sure to look into the applicable laws, customs, and other governmental regulations, requirements or restrictions of the country, state or territory to which your animal is being transported. This is your responsibility. Also remember to obtain your pet’s required health documents. We recommend that pets have no food or water within four hours of departure. Pssst... Frontier Tip: Make your trip a little smoother by checking what the state requirements of your destination are regarding animals - some require health certificates, others don’t! Domesticated dogs, cats, rabbits, guinea pigs, hamsters, or small household birds may be carried on flights within the United States. Sorry, no reptiles or arachnids (and please, no lions, tigers or bears). Only domesticated dogs and cats may be carried to or from international destinations. Pets are allowed in the cabin on all domestic Frontier flights, and on international flights to/from the Dominican Republic and Mexico. You may not sit in row one or an exit row when traveling with a pet. For safety reasons, your pet must remain in the travel container at all times. If your pet is disruptive, it’s up to you to soothe him/her without taking him/her from the pet container. Please Note: While it might be tempting to help comfort your pet, most veterinarians advise against sedating pets for travel since the effects of tranquilizers on animals at higher altitudes are unpredictable. We ask that you do not provide food or water to your pet while traveling on the aircraft. The stress of traveling, the motion of the aircraft, and other factors could make your pet uncomfortable. Please Note: No oxygen will be administered to a pet in the event of an emergency. Your pet needs to be harmless, not disruptive, odorless, and require no attention during flight. The travel container must be large enough for the pet to stand, turn around, and lie down in a natural position (you want your pet to be comfortable, don’t you?). The carrier must also fit underneath the seat in front of you. There may be certain seats that cannot accommodate your pet container, but we'll work with you to get a seat assignment with space. Maximum dimensions for a pet container are 18" length x 14" width x 8" height. We recommend the container be a soft-sided case. Your pet must stay in its container at all times. The United States Department of Agriculture (USDA) regulates the transport of pets within the U.S. While we do not require a health certificate for pets carried in the cabin traveling within the U.S., upon arrival, a certificate may be required by the specific state in which you are landing. For clarification, please call your veterinarian or see the U.S. Department of Agriculture's Veterinary Services. For international travel, a health certificate is required. Each country may have vaccination requirements beyond the requirements listed here. Consulates can provide more information regarding other diseases for which your pet must be vaccinated. Within 10 days of entry into the U.S.
Immunization against rabies within 12 months for: adult pets 3 months of age or older for all destinations except Costa Rica and Puerto Rico. Costa Rica defines adult pets as 4 months of age and older. Puerto Rico also defines adult pets as 4 months of age and older and requires immunization against rabies within 6 months. Please Note: The immunization must be administered no more than one year and no less than 30 days prior to international travel. If a pet received a rabies booster less than thirty days before an international flight, proof of the prior rabies shot is required. Mexico and the Dominican Republic require a statement on the health certificate that the pet is free from parasites and has been treated for parasite prevention. The following vaccinations are recommended: hepatitis, PIP and leptospirosis. Puerto Rico requires a sturdy collar and two identification tags. 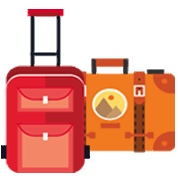 The tags should include both your permanent address and telephone number, along with an address and telephone number where you can be reached while traveling. All dogs and cats being transported to and from Canada are required to have both a rabies vaccination and a health certificate. The rabies vaccination certificate must be issued, in either English or French, by a licensed veterinarian from the country of origin. There is no waiting period after the vaccination is administered. Canada does also recognize the three-year rabies vaccination. Please note that if validity date does not appear on the certificate, then it will be considered a one year vaccination. A certificate of health must be in English or French and completed by a licensed veterinarian. It should identify the animal, the dates of vaccination, the manufacturer and the expiration date of the rabies vaccine. In addition to all other documentation requirements, parasitic treatment must be included in the health certificate. 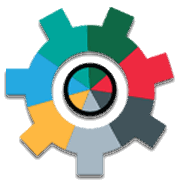 Traveling on a codeshare flight? Check the codeshare terms and conditions page for more details. On Frontier, car seats fly free! 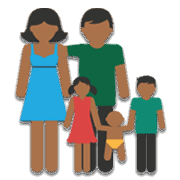 Look for our "Mom Approved" icon to guide you through our site and ensure you're getting the best options for your family! You are my favorite airline to fly with. I always receive world class customer service! Keeping kids happy during a flight can be tricky. Here’s a few ways you can make the flight fun! Go Wild. Collect them all! Are you flying on Griz the Bear, Otto the Owl or Flo the Flamingo? 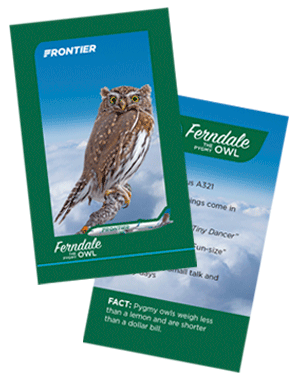 Learn about the animals on our tails by asking for a free Frontier trading card on your next flight! Here’s some fun flight activities for the kids. Be sure to print them out before you leave home. finish a fun maze and more!